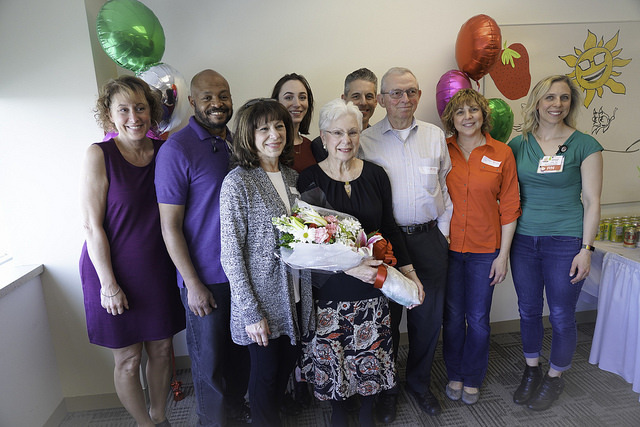 A thank-you luncheon was held on April 20, 2018, to honor the 654 active volunteers who performed a remarkable 67,025 hours of service in 2017. A number of special awards were presented at the luncheon. Joan Crothamel, 2018 Volunteer of the Year, with family. 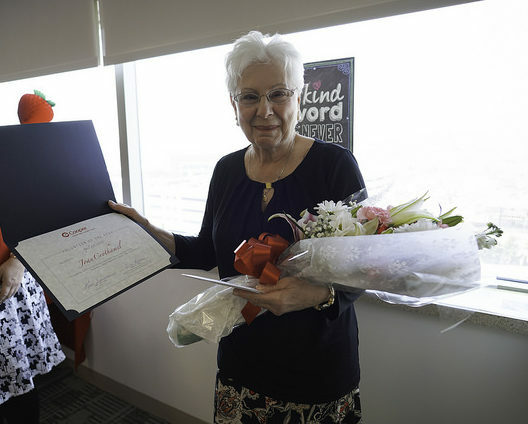 Joan Crothamel, of Mount Laurel, NJ, was named Volunteer of the Year. 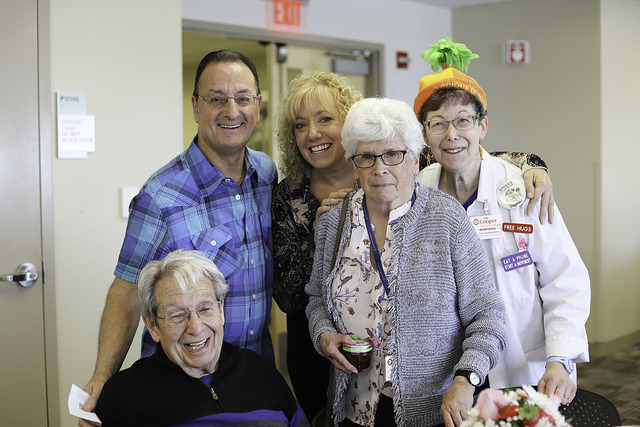 Joan has volunteered more than 1,700 hours since becoming a volunteer at Cooper in 2012. 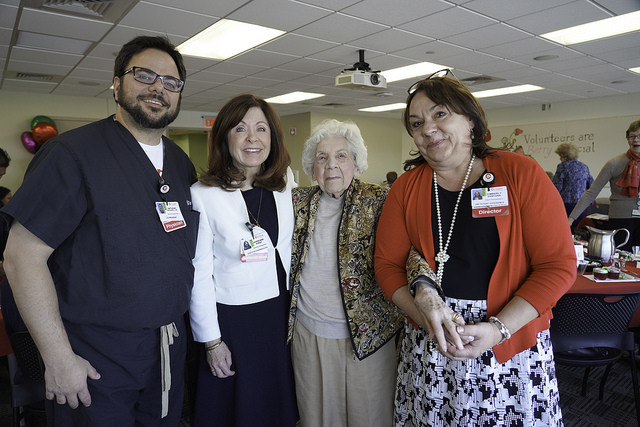 A retired nurse, Joan volunteers in the hospital’s Same Day Surgery Unit and Pre- and Post-Op areas and assists patients, their family members, and staff. Walter Baker, long-time Cooper volunteer recognized for giving the most service hours, with Kim Santana, Director of Patient Experience at Cooper. 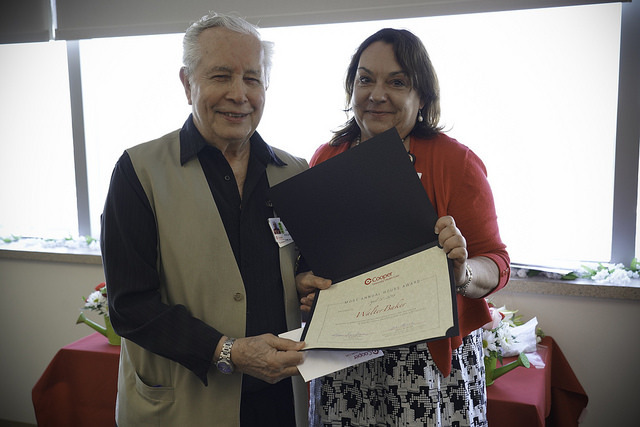 A special award was also given to long-term volunteer Walter Baker for the most service hours. In 2017, he performed 514 hours of service, with more than 7,761 hours of service since he began volunteering in 1995. The Cooper Women’s Board was also recognized for the group’s legacy of service. 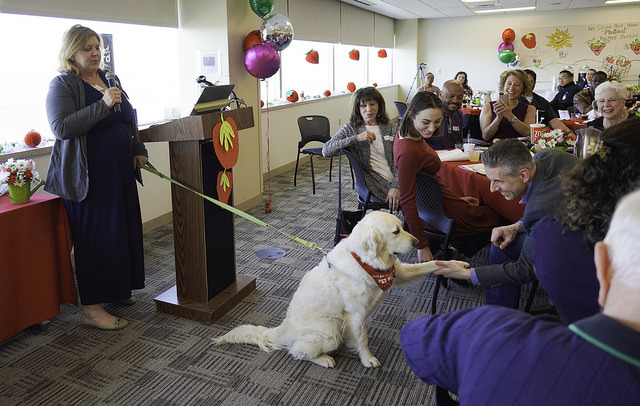 Founded in 1919, the Women’s Board has provided 99 years of continuous service to the hospital, including fundraising, sponsoring events, and hosting an annual holiday party for pediatric patients. Current members were honored at the luncheon. 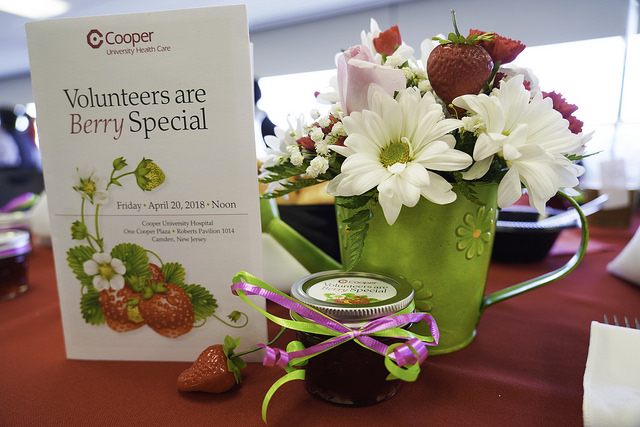 Our volunteers are involved in every part of Cooper! Learn more about volunteering your time by clicking here. View more photos from our Volunteer Luncheon on Flickr by clicking here.